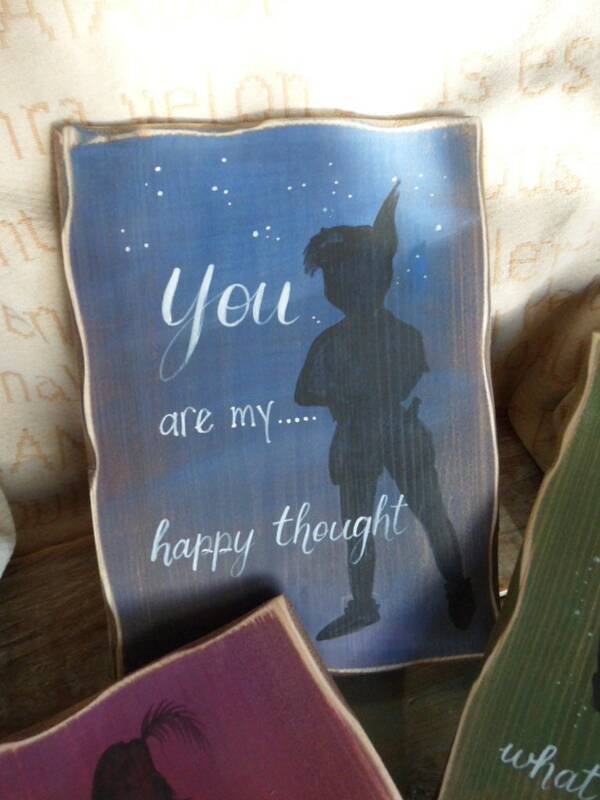 We have a selection of storybook and signpost Signs inspired by Peter Pan and Neverland. 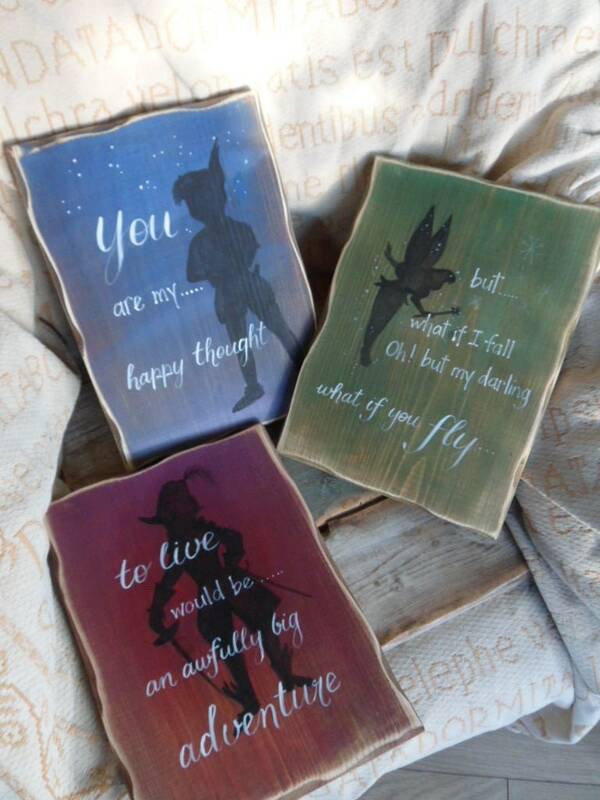 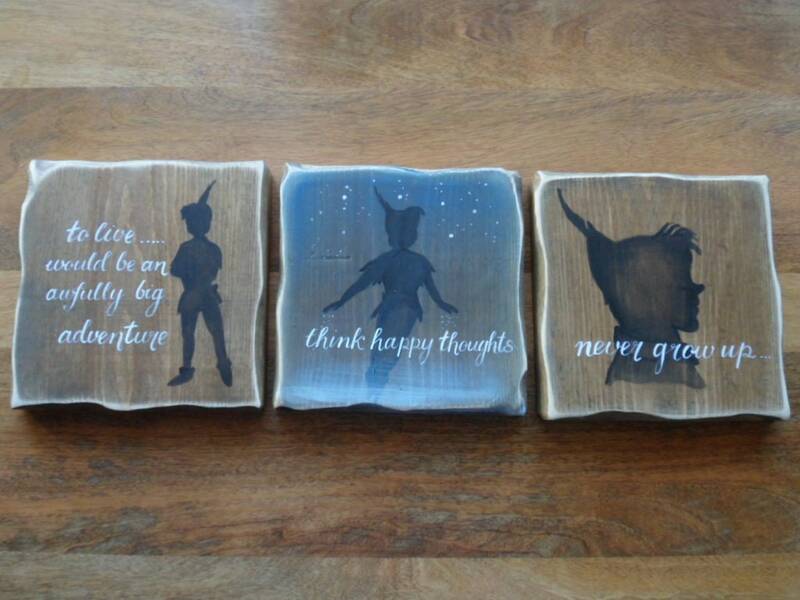 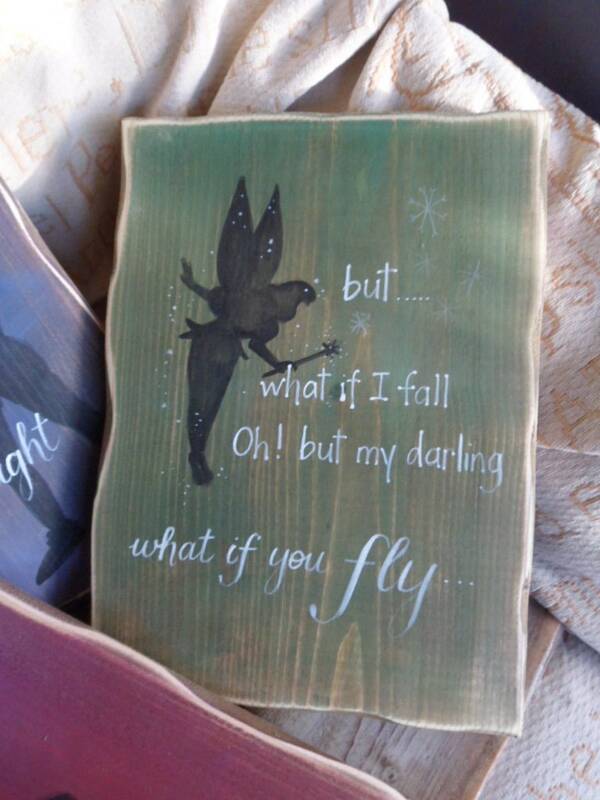 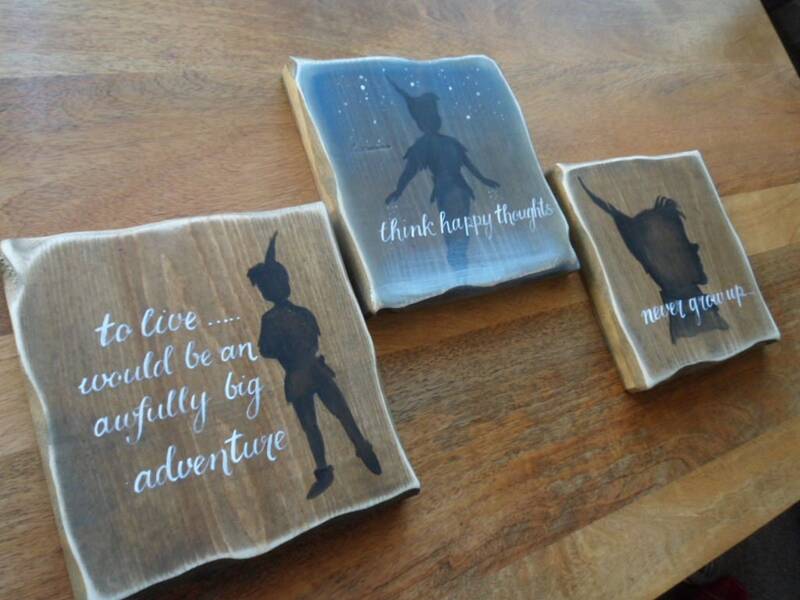 These are handmade and hand painted rustic wood signs with Peter Pan silhouettes and magical quotes.. 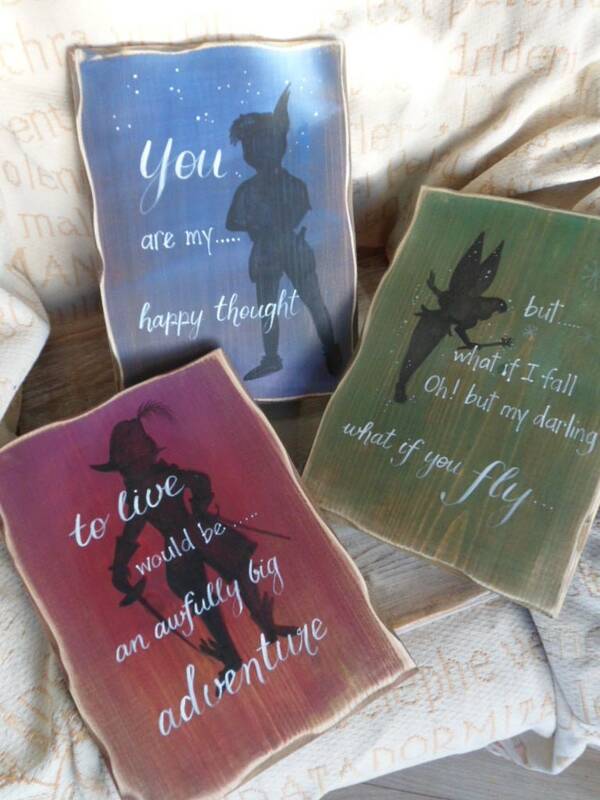 These are adorable handpainted signpost signs of whimsical places from Far Away and Once Upon a Time. 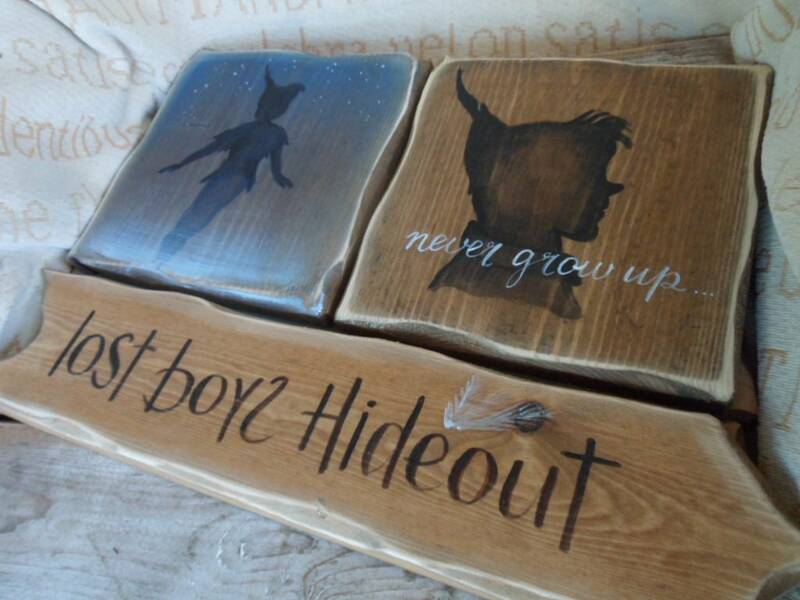 They make fabulous decoration for a quiet school reading corner or a bespoke bedroom. 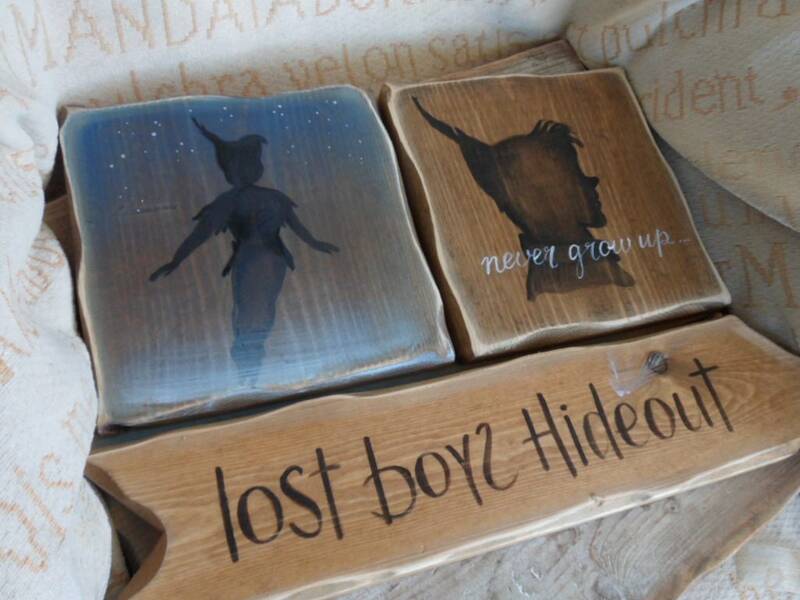 Made from a variety of shapes and sized timbers, each is unique. 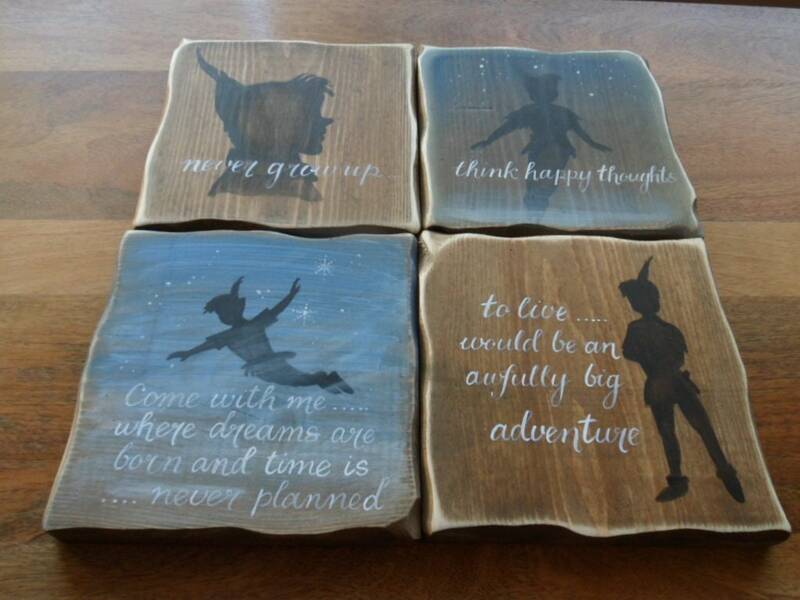 Mix and match with our other Peter Pan signs to build your bespoke bedroom or nursery decor. 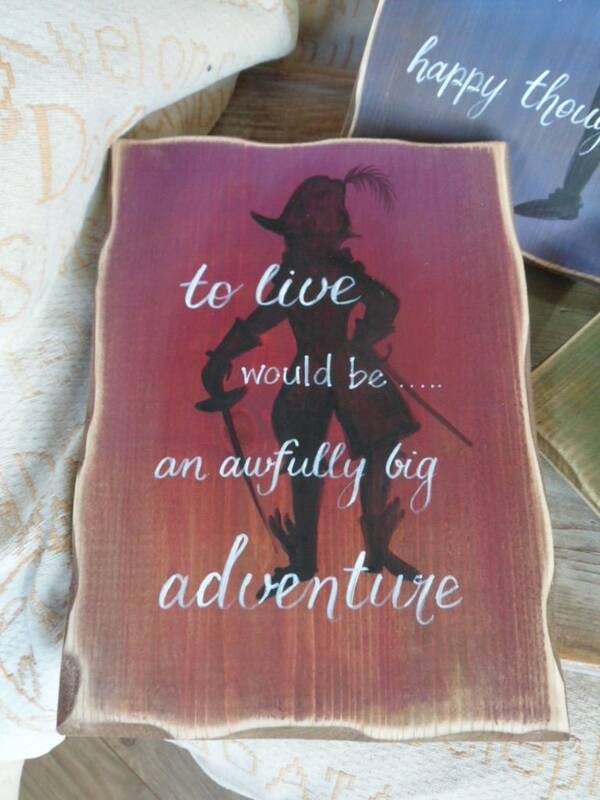 If you have a colour scheme you would like to use simply send us a message and we can work with you.